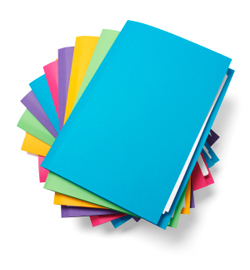 These are standard 9×12 pocket folders with two 4″ pockets. All designs must include .125 bleeds! Turnaround times for this product are roughly one week. If you want business card or CD slits on the pockets the option is available on the options page.